Should You Invest in US Steel Companies? By Jim Walker on Thursday, May 31st, 2018 | Comments Off on Should You Invest in US Steel Companies? It started with Trump threatening to start a trade war with China. And now it has come around a trade war with our North American neighbors and the European Union. Today the president announced that there will be tariffs on steel and aluminum imports from Canada, Mexico and the European Union. While economists and free-traders wring their hands in anguish we wonder this, should you invest in US steel companies? There are only two steel producers in the USA, Nucor and United States Steel Corporation. Is It Possible to Reproduce the Microsoft Investment Experience? By Jim Walker on Monday, May 28th, 2018 | Comments Off on Is It Possible to Reproduce the Microsoft Investment Experience? How Do You Pick an Investment to Short? By Jim Walker on Wednesday, May 23rd, 2018 | Comments Off on How Do You Pick an Investment to Short? By Jim Walker on Monday, May 21st, 2018 | Comments Off on Are Commodities a Good Investment? 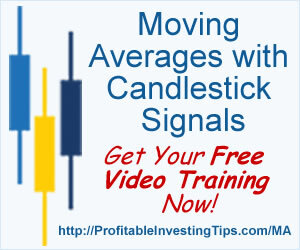 However, many are skeptical and you can include Profitable Investing Tips among the skeptics. Our eventual question for our readers will be, are commodities a good investment? But, first a little background. CNBC quotes Moody’s chief economist as saying that the proposed trade agreements are face-saving and lose-lose. What Affects the Current Value of an Investment? By Jim Walker on Monday, May 14th, 2018 | Comments Off on What Affects the Current Value of an Investment? We have written at length about determining intrinsic stock value as a guide to value investing. But, what affects the current value of an investment? How can the current value of an investment vary over time? Along this line of reasoning Bloomberg writes about how stocks today do not seem to reflect the improving economy and earnings. Neither this year’s impressive corporate earnings results nor the synchronized pickup in global growth nor record levels of stock buybacks by companies has led to impressive gains in stocks. Do You Use a System for Investing? By Jim Walker on Friday, May 11th, 2018 | Comments Off on Do You Use a System for Investing? Investors are always on the lookout for profitable investment opportunities. And a profitable investment tip may make the difference between a dismal investment portfolio and a stellar one. But, profitable investing tips may require some work before you can put them to use. Do you use a system for investing? You should because that is how you can sort out good tips from bad and pick the best opportunities. Years back we wrote about investing tips. Will Selling Starbucks Coffee Help Nestle? By Jim Walker on Monday, May 7th, 2018 | Comments Off on Will Selling Starbucks Coffee Help Nestle? Nestle just paid Starbucks $7.15 Billion for the right to sell Starbucks coffee worldwide. The question is, will selling Starbucks coffee help Nestle? Reuters reports on the global coffee alliance. The deal on Monday for a business with $2 billion in sales reinforces Nestle’s position as the world’s biggest coffee company tries to fortify its place atop a fast-changing market. It is a bold stroke by new Nestle Chief Executive Mark Schneider, who has made coffee a strategic priority as he tries to convince uneasy shareholders, including activist Third Point, that he can boost the sprawling group’s performance. As the bull market ages and becomes more volatile many investors are starting to hedge their bets. For some this simply means selling and holding on to cash for the time being. For others it has to do with re-balancing their investment portfolios. More and more we hear that it is time to switch over from a focus on growth and move to value investing. This is probably good advice but how do you do that? Today we consider what to look for in value investing. Years ago we wrote about value investing for long term profits.